Bahrain's government must build on its significant achievements and ensure sustainable economic growth and the delivery of opportunities for all under its Economic Vision 2030, said Prince Salman bin Hamad Al Khalifa, Crown Prince, Deputy Supreme Commander and First Deputy Prime Minister. He was speaking at the Bahrain Government Forum 2017 to highlight the progress made within the current Government Action Plan 2015-2018. Prince Salman outlined three economic and socio-economic priorities that are being pursued across government, comprising an increased role for the private sector in driving economic growth; supporting greater innovation and competitiveness; and enhancing citizens’ living standards, reported BNA. In a presentation to attendees, the Crown Prince detailed the government’s delivery of priority programmes, while highlighting that Bahrain’s Economic Vision 2030 principles of sustainability, competitiveness, and fairness must continue to inform every aspect of nation’s development, it stated. He urged the government officials to assess the Government Action Plan 2015-2018 which has seen over 100 new laws passed in collaboration with Parliament during the current legislative term. The Crown Prince pointed out that through continuous collaboration with the Bahrain Economic Development Board, the kingdom has seen an increase in inward investment of 158 per cent between 2016 - 2017. A range of government initiatives were also outlined by Prince Salman at the forum, including the launch of a national strategy for tourism, a sector which has seen a 12.8 per cent increase in the past year; the adoption of a national plan to revive Bahrain’s historic pearling industry; and the implementation of the National Renewable Energy Plan, which aims to provide 5 per cent of the country’s electricity from renewables by 2025. 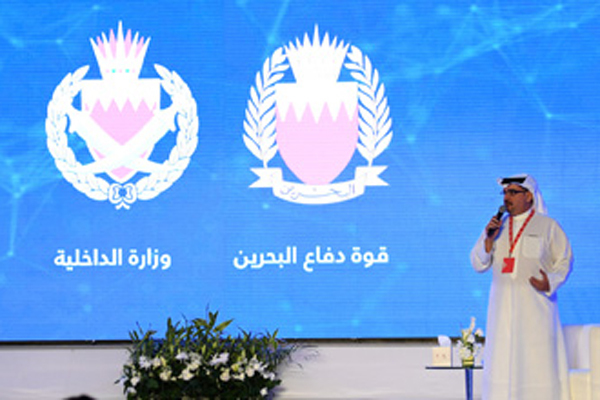 The reforms also include regulatory changes in the kingdom’s healthcare and education systems, and the introduction of the national strategy for healthcare designed to transform the role of the Ministry of Health from an operator to the main regulator of the sector, reported BNA. Another key highlight was the setting up of a country-wide 25,000 housing unit programme, which has already delivered 15,655 units across different parts of Bahrain in close collaboration with the private sector. Another 4,800 units have been announced at the Forum, underscoring the government’s commitment to delivering projects that help further improve citizens’ living standards. In addition, a far-reaching programme of $32 billion infrastructure projects is already seeing significant progress and driving growth across the country’s oil and gas, logistics, manufacturing, ICT, financial services, and tourism sectors, stated the report. "The government’s efforts, based on the principles of Bahrain’s Economic Vision 2030, sustainability, competitiveness, and fairness, are laying the foundations for economic prosperity and stability," remarked Prince Salman. "The next phase of the kingdom’s development features ambitious targets. We are continually building upon our programme of development and launching new projects, as witnessed today with the announcement of 4,800 additional housing units, the development of a highly modernised power plant, the construction of a 100MW solar power plant, and targeted national strategies for boosting key sectors," he added. The forum also announced that government officials will lead a series of workshops in order to identify key objectives of the upcoming Government Action Plan (2019 - 2022).